Hike, Bike, Paraglide, & Jungle Safari. A fun and active package thats perfect for families and the solo traveler alike! An engaging tour that offers exciting new experiences every day! 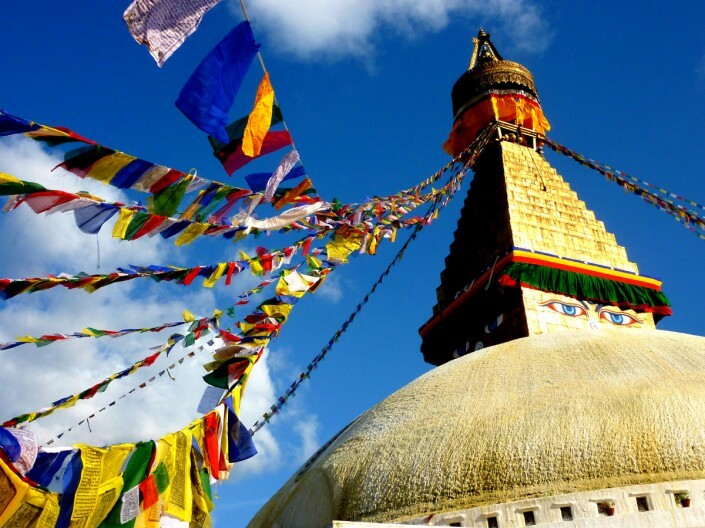 From the ancient city-kingdoms of the Kathmandu Valley to lovely mountain-top lodges and an elephant-back jungle safari, The Nepal Experience is suited to the solo traveler and families alike. 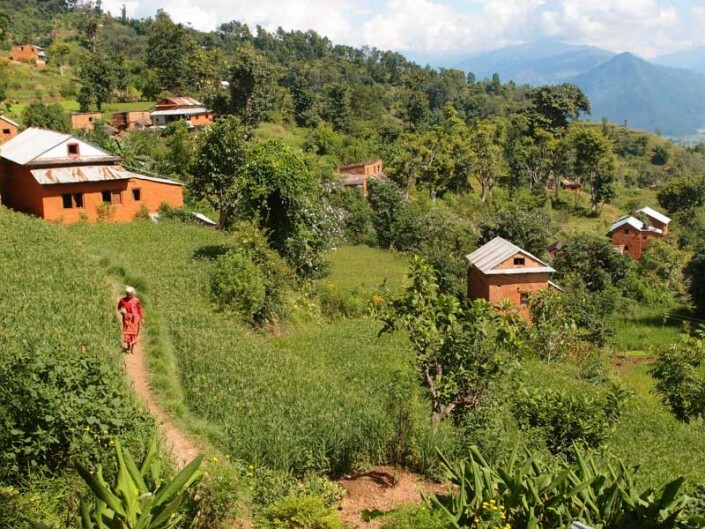 The Nepal Experience is an active adventure that still allows enough time for sipping chai and chatting with the locals. Arrive Kathmandu. Transportation to lovely lodge in a renovated traditional Newari townhouse. Welcome, orientation, dinner. It’s a full day of exploring the sights of Kathmandu! 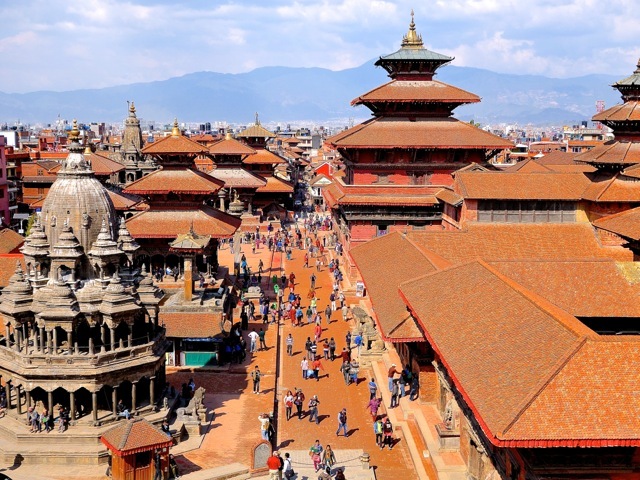 We’ll start with the Patan Durbar (palace) Square. The beautiful palace and temples filling the square date to the 16th century and were the center Patan kingdom – one of three kingdoms to populate the Kathmandu Valley. Lots of photo opportunities and lots of neat crafts, metalwork, and woodwork to entice the shopper. Next up get ready for lots of monkeys as we climb the stairs to the famous Monkey Temple. A great view of Kathmandu awaits! 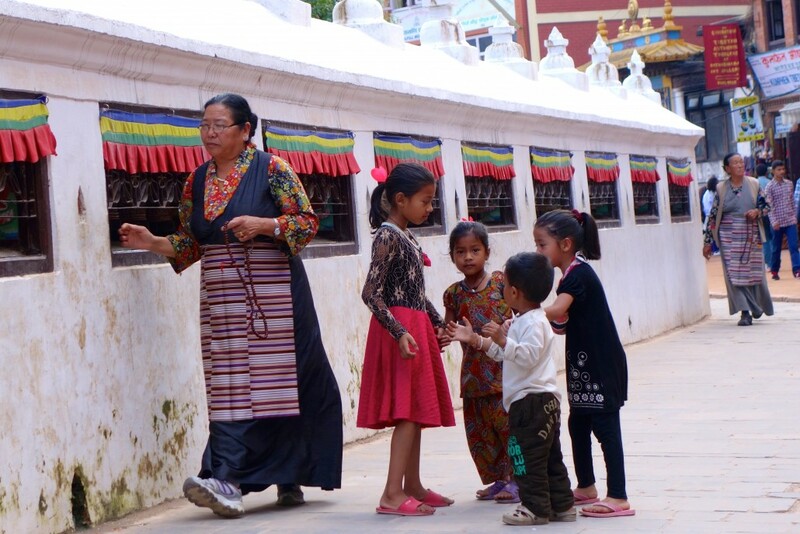 After lunch, we’ll have the choice of either visiting the Tibetan Buddhist center of Boudha Stupa, the tourist district of Thamel, or taking it easy and resting up for tomorrow. After breakfast, our van takes us to the north rim of the Kathmandu Valley. From here it’s a full afternoon of gentle cycling down the backside of the mountain. 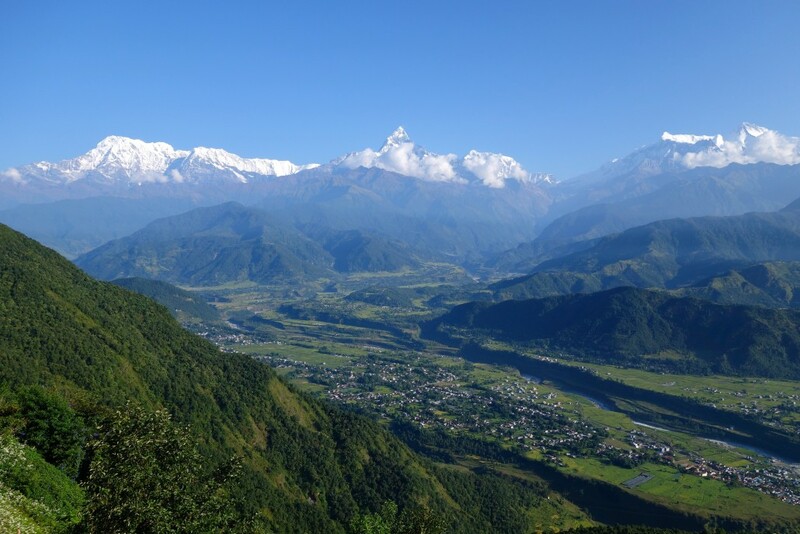 Weather permitting, Himalayan views abound. Stop in local villages for tea and sel roti. 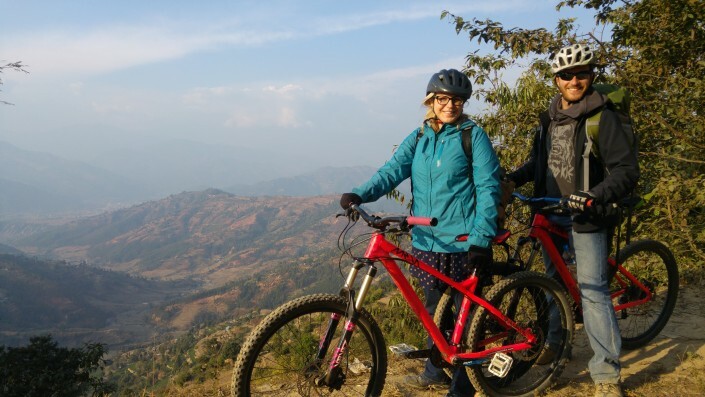 Depending on how active you feel, you can choose to ride the van or hike up to our hill-top lodge for the night. 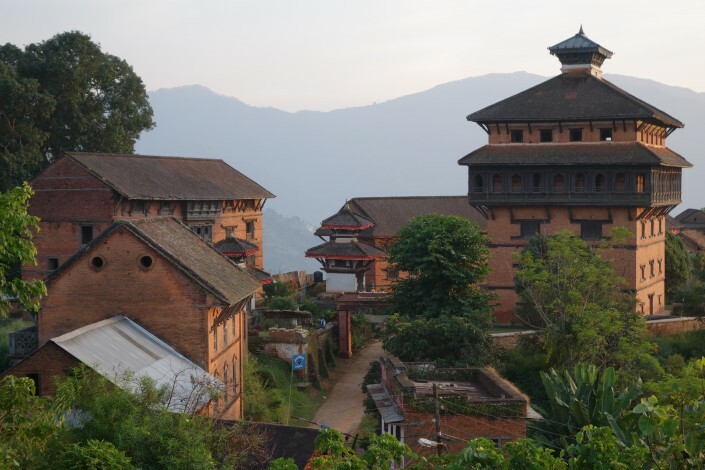 Explore the Nuwakot Palace before sunset, then return to our lovely accommodations in a quaint Farmhouse styled lodge for drinks and a garden-fresh dinner. Start the day with a short walk to the mountain viewpoint for beautiful morning photos. After breakfast, enjoy a couple hours of gentle cycling along the scenic Trishuli River before our van takes us to lunch. Lunch is a fun little adventure in itself! 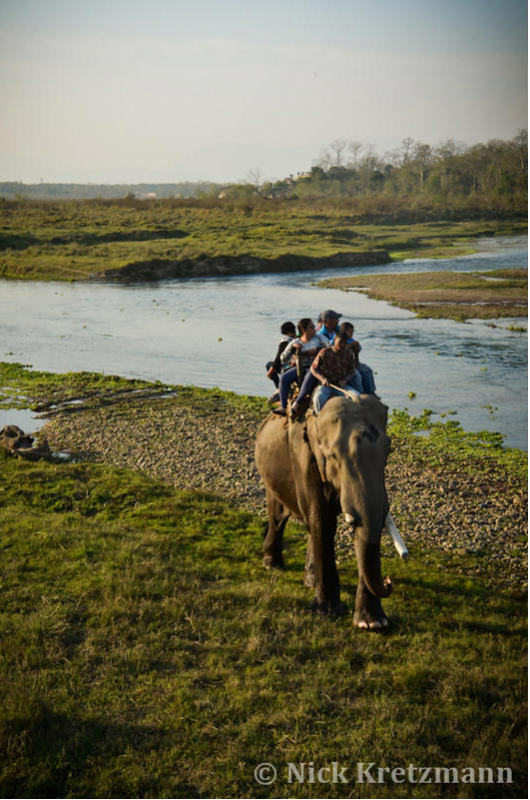 We cross the Trishuli river on a walking-only swing bridge, and walk through a small village to a lovely river-side resort. After lunch it’s back to the van for another hour ride to our destination – Bandipur. 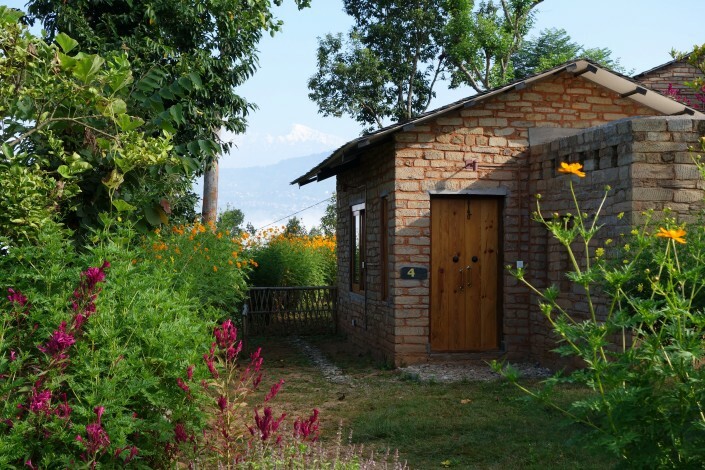 Perched on a mountain ridge, Bandipur delights with amazing views, a picturesque walking-only village, and another delightful lodge. 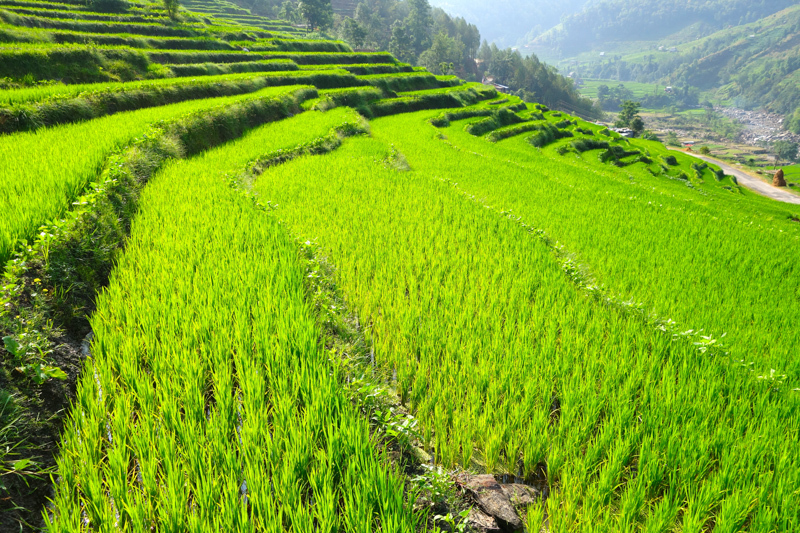 Take it easy this morning and soak up the charm of this quaint village, or choose to go on a day hike. After lunch, the high-flying traveller will have the opportunity to take to the skies high above town on a tandem paragliding flight. Be sure to catch the sunset from the small temple perched above town. Return to our lodge for imported wines and delicious food. Morning option to hike down the mountain. Then travel by van to Chitwan National Park (3 hours) where Jungle-side lodging awaits. It’s a fun afternoon spotting wildlife – birds, crocodiles, and maybe even a rhino – on a relaxing canoe ride. Then visit the baby elephants at the Elephant Breeding Center. Dinner followed by the fun local Tharu Culture Dance. Get ready to spot some wildlife! 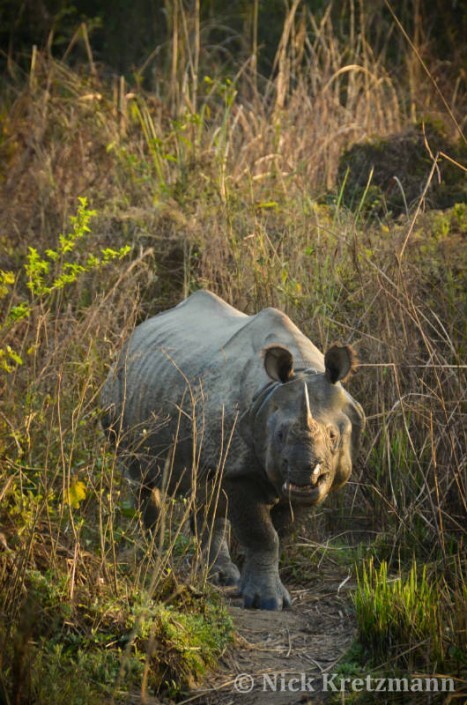 Take an elephant-back safari into the jungle in the morning in search of rhinos, spotted dear, wild boar, jungle cats, and the ever elusive tiger! If that wasn’t enough wildlife, then choose to embark on a longer jeep safari in the afternoon. At leisure time in-between. 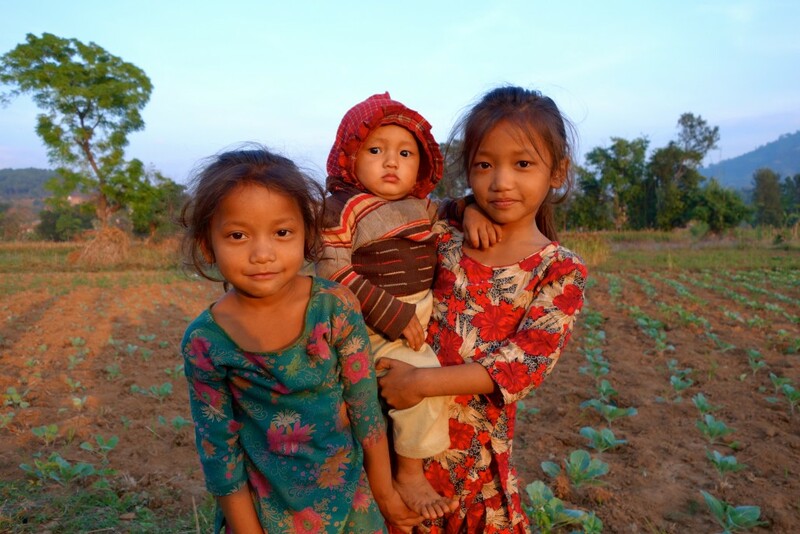 A quiet morning to take it easy or walk through local Tharu village communities. Fly to Kathmandu (20 minutes) and transportation back to our favorite lodge in Patan. Afternoon free to explore or shop. Time permitting, embark on last minute shopping or sightseeing before your car takes you to the airport.